BRS (Baggage Reconciliation System) starts at the Balearic Delegation, specifically at PMI, the first airport in these islands where it has been implanted. The use of this technology is another initiative included in the project of digitalization and transformation named Go-Up! one of the most important initiatives in terms of operational efficiency and improvement of working conditions among our ramp staff. The Airport Innovation team is now focused on ALC and IBZ, next objective stations, to put into use this system, at an unstoppable rhythm. As of today 7 airports are providing automated BRS: MAD, BCN, BIO, TFS, LPA, AGP and PMI. 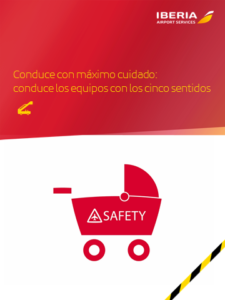 With no detriment to efficiency, competitiveness, or sustainability, Iberia Airport Services (IBAS) is fully aware of the importance of conducting all its operations in a secure environment for which we have a Safety Plan for making continuous improvements across all company areas with theme of “Using the Five Senses”. We are forging a Safety culture in our operations, as a working method with which to address every task performed by our employees, and particularly those working on airport ramps. With the aim of raising awareness among employees, we carry out continuous communications campaigns as one of the pillars on which to establish such a safety culture. In 2018 we launched monthly campaigns stressing a variety of messages arising from the case studies addressed in our weekly operational safety meetings. 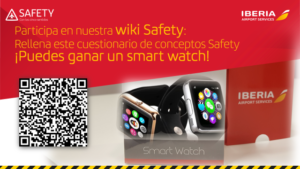 We learn by playing, as our employees take part in what we call “wiki safety” contests, in which they answer questionnaires related to safety issues, with prizes for the winners. 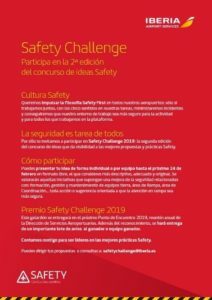 We also stage an annual “Safety Challenge”, in which our employees are given the opportunity to propose ideas or initiatives with the aim of making our operations safer. There are rewards for the best ideas, which are implemented at all the airports we serve. We developed the “Safety Kiosk” to improve employee access to operational information (procedures of client airlines, safety bulletins, tutorials, etc. 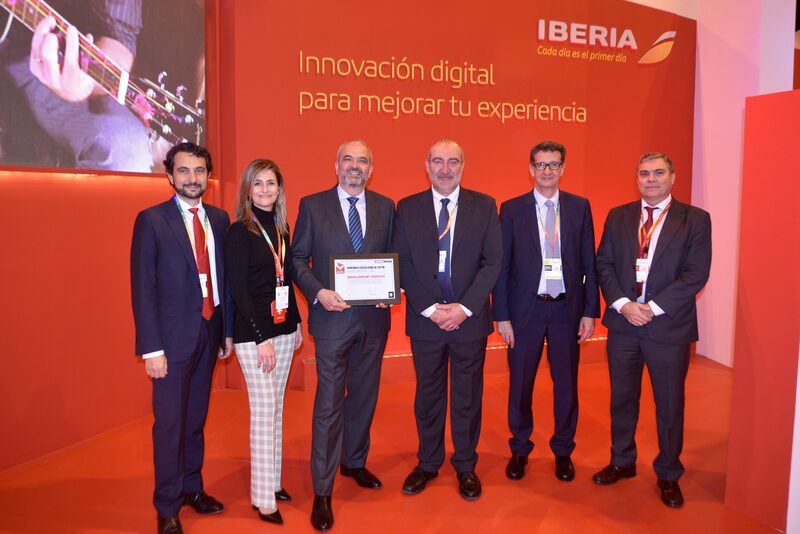 ), within the framework of the ongoing company-wide digital transformation plan in which Iberia Airport Services is fully involved. We identify and promote a policy of recognition, identifying the best practices. Another basic pillar of safety culture is the training of our employees. In this area we are introducing new concepts and methods to make this training more efficient. In the Ground Equipment area, continuous improvements are being made to most of the equipment, making it safer to operate. All this is accompanied by permanent safety sessions in all our airports, in which we convey information in the most direct manner. 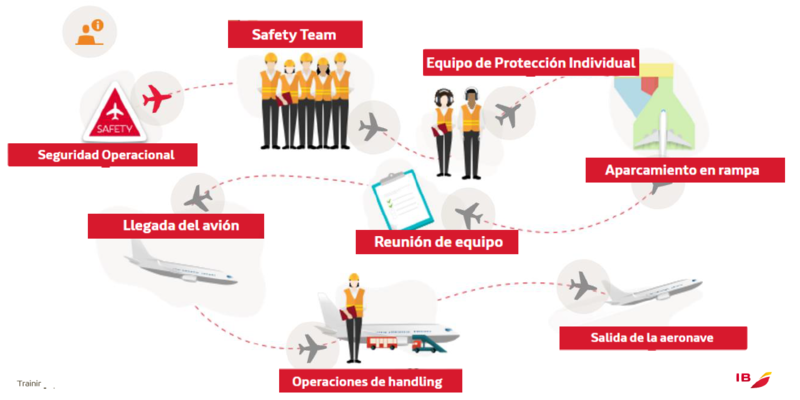 Iberia Airport Services adapts to the needs of our customers, with the greatest safety in all our operations, by putting our five senses to work in everything we do. 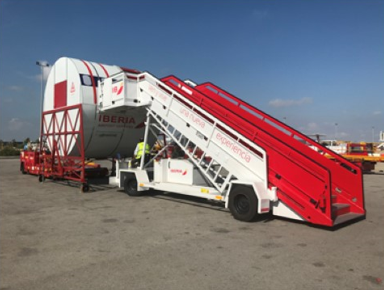 Iberia Airport Services continues to win new contracts to provide handling services to outside companies in Spanish airports. We are now serving Swiss, one of the airlines in the Lufthansa Group, at Bilbao airport. Iberia’s handling arm began to serve Swiss on 1 November, under a contract that covers some 185 flights per year. Meanwhile, the contract to serve Lufthansa itself in Bilbao was renewed for another five years. The renewal fortifies commercial relations with this historic European airline, and covers more than 2,300 flights per year. 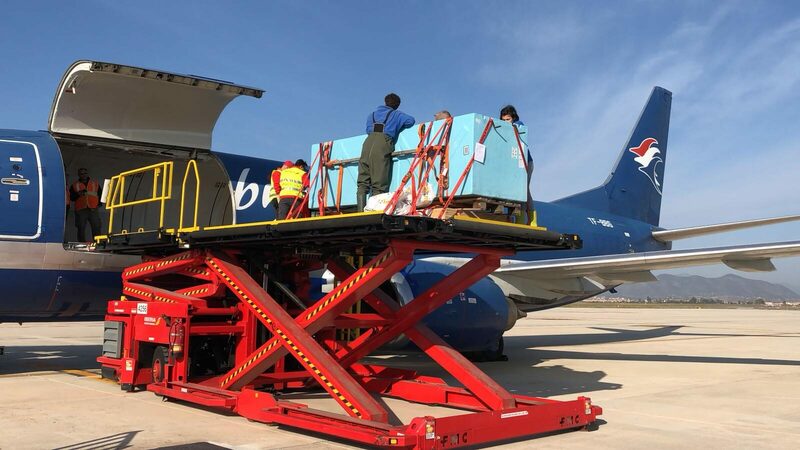 In both cases, full handling services will be provided, from check-in and boarding to the delivery of checked luggage, as well as loading/unloading as well as coordinating refuelling and cleaning tasks. 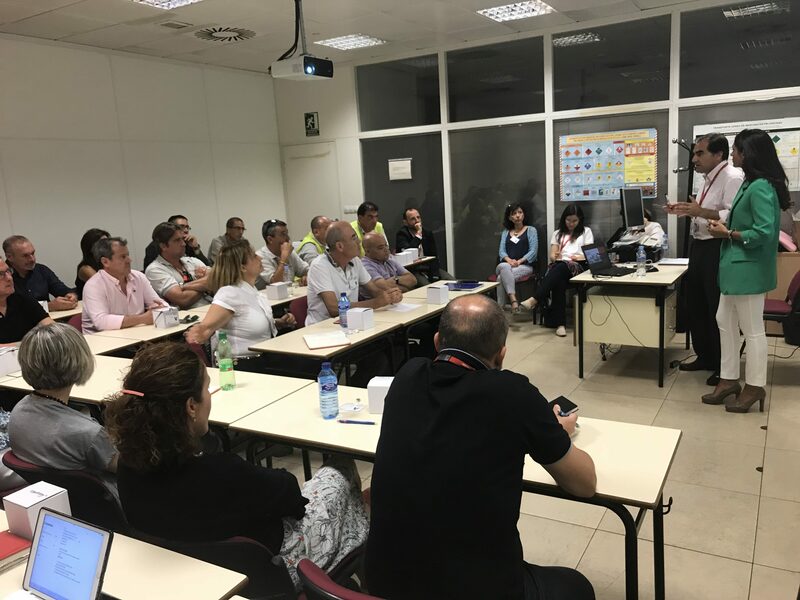 Last 21 September saw the launch of the new Airports Safety Training Plan, an ambitious programme developed by the areas of Training and of Knowledge Management of Iberia’s Human Resources Division, plus the training area of the Airport Services Division and Airports Human Resources. 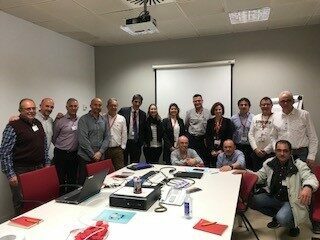 The presentation of the “Advanced Safety” plan was attended by the operational safety managers of Spain’s nine busiest airports along with 22 members of the nine airport safety teams. This meeting was one of several initiatives for increasing safety on airport ramps. Presentation of a new on-line training scheme aimed at underlining the most important everyday airport operational safety concerns. A talk about skills development: “Communicate in order to Achieve”. The previous on-line training scheme has been replaced by a new model that is more digital, visual, intuitive, dynamic, and interactive, using a mix of elements to help consolidate knowledge. Sonia Alfonso, from the Airports Innovation Team, opened the session with a review of all the steps taken so far this year and all the actions making up the Safety Plan in terms of communications: “The campaigns and messages that made up our ‘safety causes’ each month, our first idea contest, the monthly questionnaire about safety concepts that we call ‘wiki.safety’, the new safety information supports, etc. We launched this plan in December under the theme ‘With your five senses’, and then applied this mantra in concrete messages, focusing on the most critical aspects so that safety can be our way of working, the only way to approach ramp operations”. Sonia said ramp staff are “a key element in the implementation of safety culture, as people who identify 100% with this aim and this philosophy”. The day also included a talk by the Airport Services Division’s Workplace Safety Risk Prevention Manager, Silvia Santiago, who stressed the importance of using individual protective gear to avoid accidents. She also encouraged all participants to get involved with accident prevention issues. 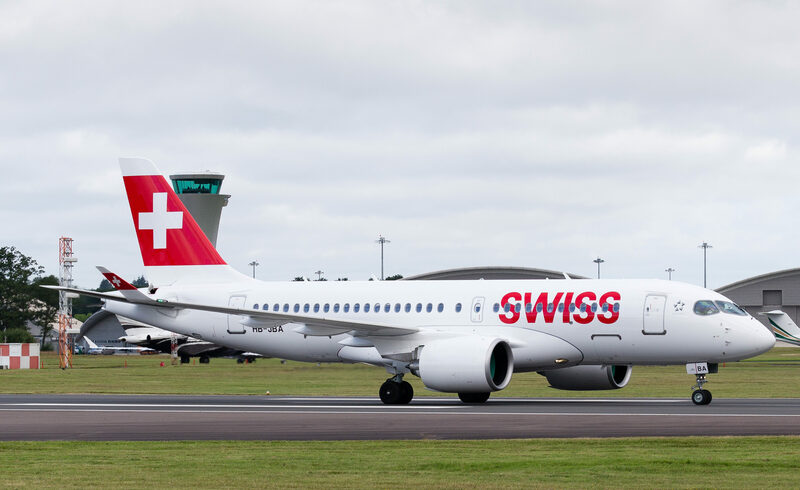 Iberia Airport Services (IBAS) has signed a new contract to provide full handling services to Swiss, a Lufthansa Group subsidiary, at Bilbao airport, while renewing its contract with all Lufthansa Group airlines at the same airport. The contract with Swiss will cover some 185 flights each year. Lufthansa Group airlines have signed up for full handling services including passenger and ramp services, baggage and freight, aircraft refuelling and cleaning, etc. 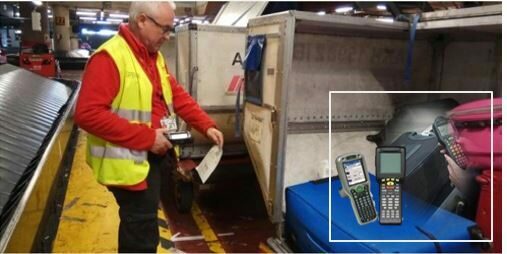 As part of an ongoing digitisation process, Iberia’s airport handling division is issuing smart phones to passenger handling service unit chiefs and supervisors at Madrid-Barajas airport. 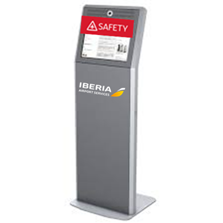 Use of the device is expected to lend greater flexibility and mobility to Iberia Airport Services personnel in the check-in area. The small size and versatility of smart phones is making them extremely useful tools in our daily lives and at the workplace, where they offer a new world of possibilities. Immediate access by users to all information needed for doing their jobs correctly. More flexible and efficient check-in processes. Real-time control of passenger flow and workloads in the check-in area. More fluid communication amongst working teams, and better coordination with other areas. In addition to bringing improvements to the customer experience and reducing airport waiting times, this initiative is also raising the level of engagement of handling staff by making it easier for them to do their jobs efficiently. Antonio Rodríguez Aranda, the Senior Passenger Care Manager at Madrid-Barajas, comments: “This is a step forward in the project we launched last year for middle managers by aligning all to a new team management model, and supplying them with new tools that enable them to perform their tasks more easily, simply, and efficiently, while helping drive the change of culture amongst our staff.” In addition, he says, “it improves our communications, making it much quicker and easier to contact middle managers in each area”. The introduction of these smart phones comes within the framework of the “customer experience” section of the Airports Go-up! programme being spearheaded by the Innovation department in collaboration with Madrid-Barajas teams including Customer Care, Customer Experience on the Ground, Brand, and Systems teams.